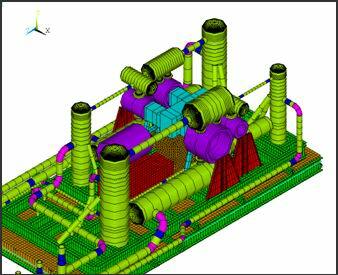 BETA provides static and dynamic foundation design services for machinery systems. In addition to including machine loads, we evaluate local soil conditions (allowable bearing capacity, static settlement guidelines, etc.) and compatibility with the site characteristics such as frost heave potential. 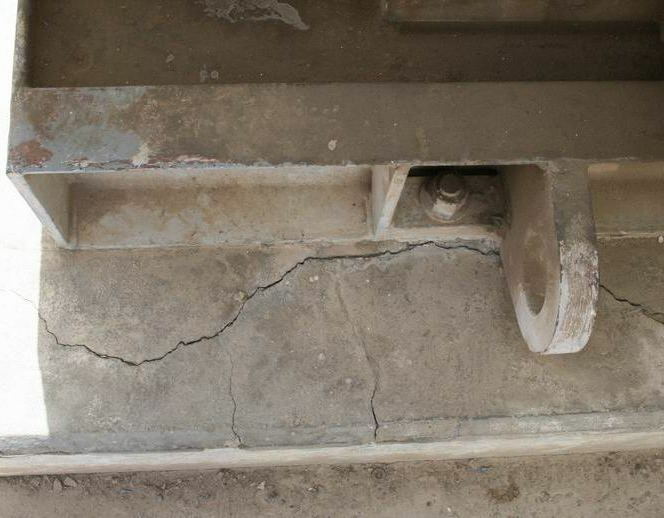 Example of cracked foundations, causing vibration and equipment reliability problems. Optimize the dynamically loaded foundation by considering all types of foundations. Accurate determination of dynamic loads caused by equipment and the effects of such loads taking into account the soil and structure interaction. Identification of area soil conditions (working directly with local geotechnical companies) for design projects. Assessment of the foundation’s natural frequencies, damping characteristics, and potential resonance conditions, as well as the impact of vibration and dynamic stress. Field measurements taken for existing foundations, to help define soil properties to insert appropriately into our models. 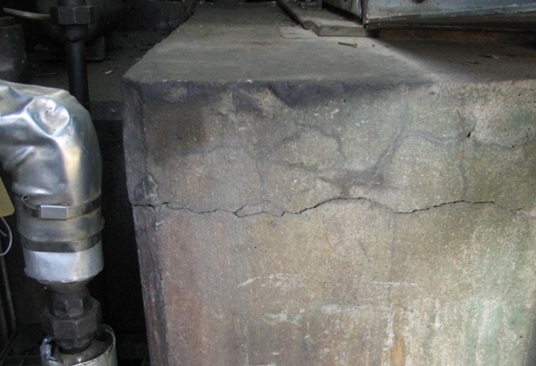 Recommended foundation design to limit vibration to safe levels. Dynamic study of rigid, flexible, and pile foundation under harmonic, transient, and random loading. 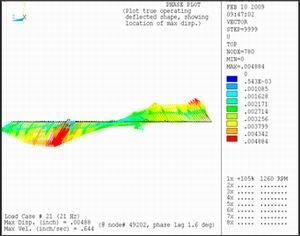 Geotechnical modeling of the soil mass, damping, and stiffness characteristics. Operating deflection shapes (ODS) on foundation repair/troubleshooting projects. 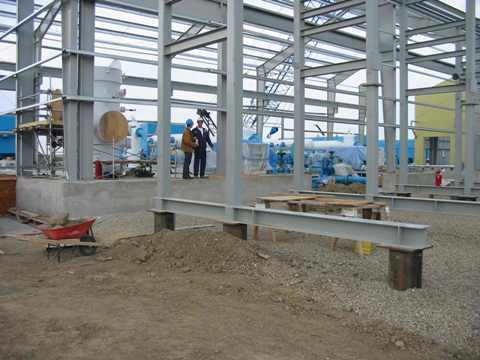 Structural design of foundations, including concrete blocks and piles. 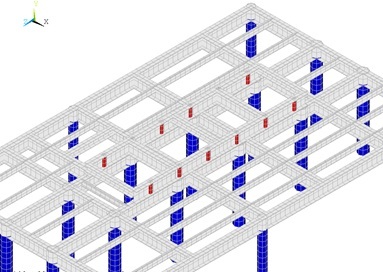 Optimization of the foundation design based on foundation performance and construction costs. 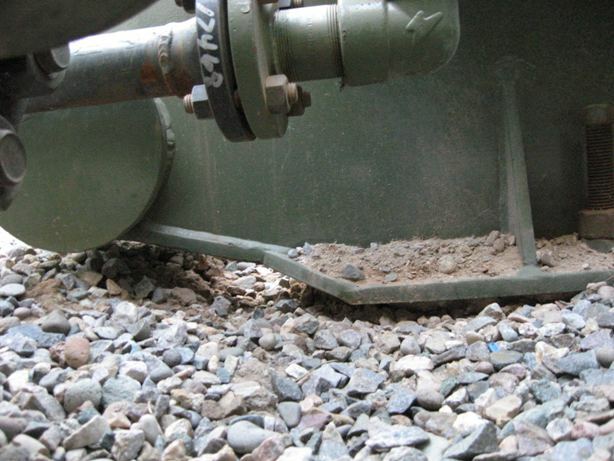 Elimination of foundation failures – extremely costly problems for owners. 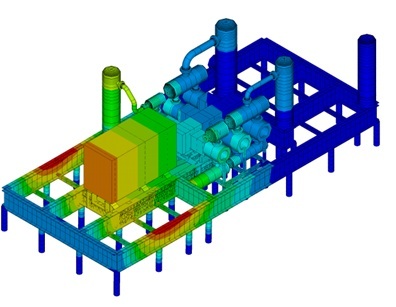 Dynamic foundation design – an integral element of a vibration mitigation strategy. 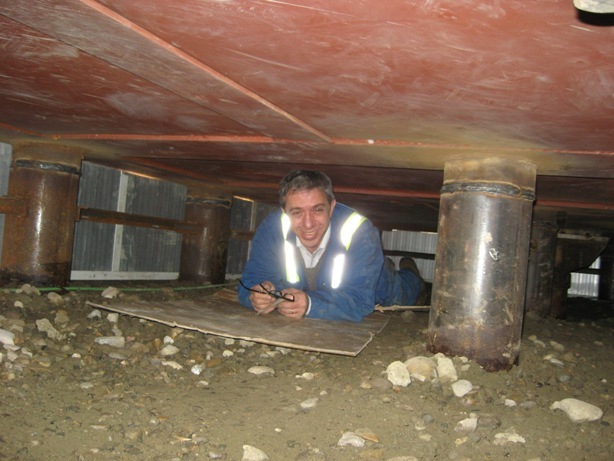 Lower maintenance costs and improved safety –properly designed foundations reduce stresses on bearings. 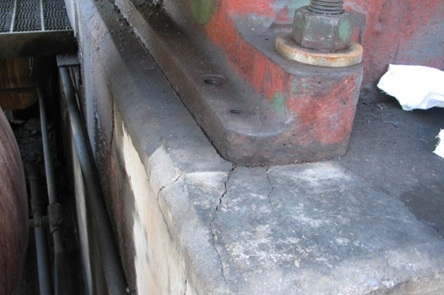 Reduced failure of auxiliary equipment including small-bore attachments . Examples of foundation design and dynamic analysis. 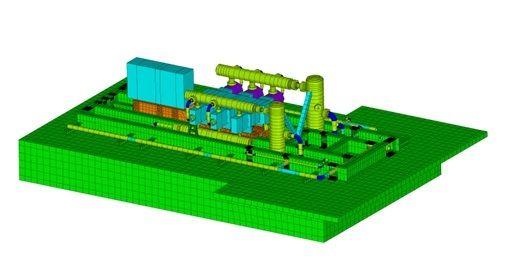 Top left: compressor, skid and foundation design provides an integrated approach and reliable results. Top right: concrete foundation dynamics. 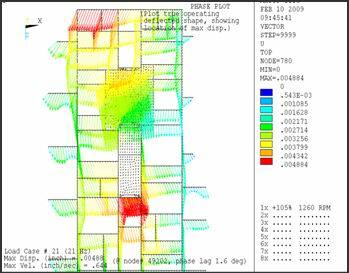 Bottom pictures illustrate pile foundation design and dynamic analysis. BETA’s expertise in machinery design and dynamics, combined with in-house experts is unique. Foundation services compliment BETA’s pulsation, mechanical, torsional, and skid design, resulting in an integrated solution. When a pile supported compressor foundation was experiencing excessive torsional vibrations, we were able to mitigate these vibrations without using additional piles or imposing very high cost for removal of the compressor skid from the top of piles and moving it back. 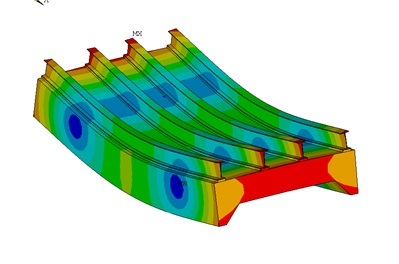 Using a unique solution, we increased the torsional stiffness, resolving the foundation vibration problem at a fraction of the expected cost.